Is your vehicle slow to start? 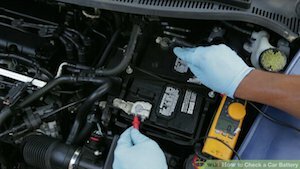 Have you recently needed a jump start in order to get your car going? If so, your vehicle may need a new battery. Rochester Toyota offers a full range of car battery services in Rochester, New Hampshire. Our expert technicians will test your battery and charging system to find the source of the problem, and can repair or replace any parts as needed. Rochester Toyota offers a large selection car batteries for sale in Rochester at affordable prices. Not sure which battery your car needs? Our technicians will help you find the right battery and install it for you. Contact us today for a free estimate on battery service in Rochester, NH.